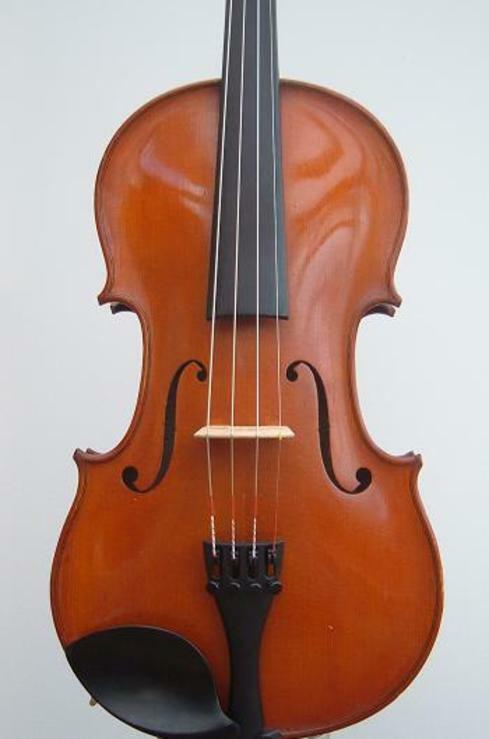 Early 20th Century violin labelled 'Copie d'Antonius Amati etc' and also 'Paul Beuscher etc 1932' Top quality instrument, equivalent to the best French workshop instruments of the period, with red-gold oil varnish and the head outlined in black ink. Two-piece back of strong, narrow flame. A marvelous instrument with a full-sized sound, ideal for an adult player with small hands. 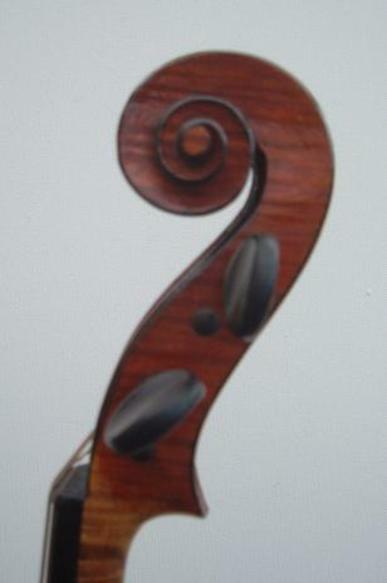 Smooth, aristocratic sound. Condition: Absolutely top condition. 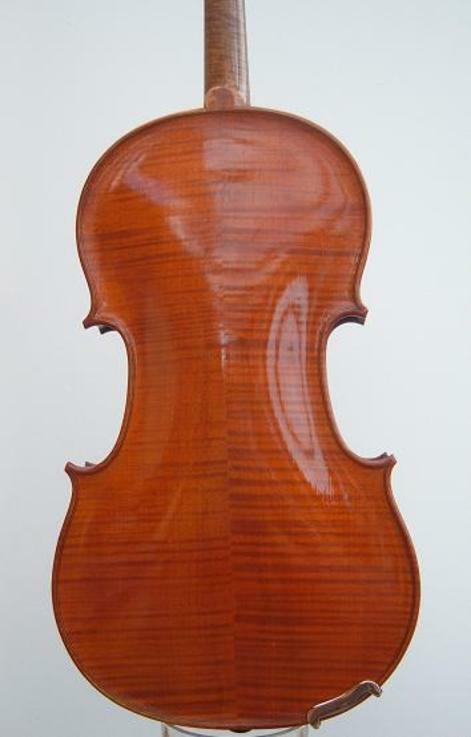 A few very minor dings and blemishes in the varnish, but extremely well-preserved for a violin of this age. Set up with original dark rosewood pegs, Helicore strings and Wittner tailpiece.